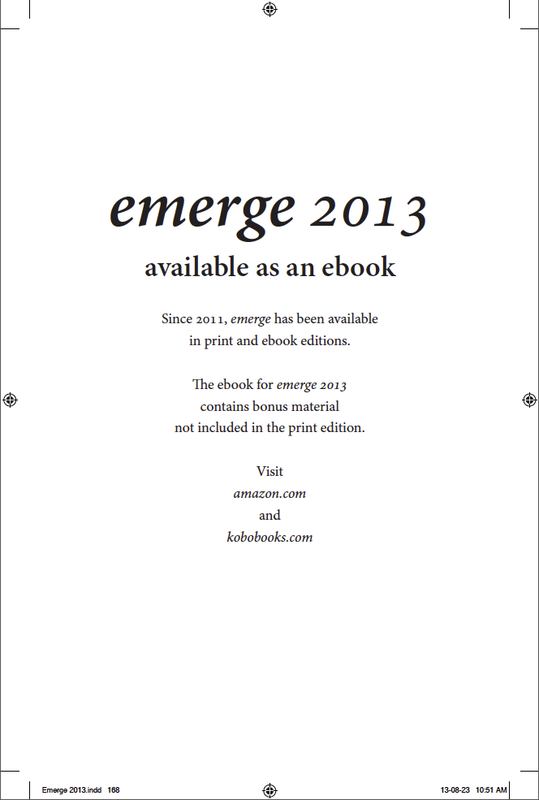 The ebook for emerge 2013 included bonus materials that weren’t in the print version. We sometimes include a “buy the ebook” note at the end of the book, depending on if there is an extra blank page. Depending on time, and resources, we may include bonus materials in the ebook edition. For example, in the ebook for emerge 2013, we included photos from the our fundraiser at Calabash Bistro. Value added material is fun for the students to add, and gives the reader something extra for purchasing our ebook.